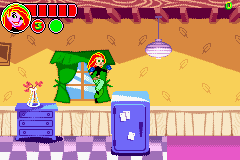 OverviewKim Possible's first GBA adventure featured surprisingly good graphics, epic boss fights, and acrobatic gameplay. Now you can add videos, screenshots, or other images (cover scans, disc scans, etc.) 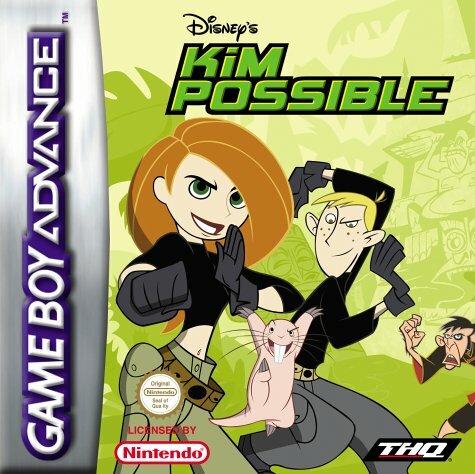 for Disney's Kim Possible (E)(Rising Sun) to Emuparadise. Do it now! 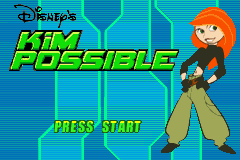 You have the option of playing Disney's Kim Possible (E)(Rising Sun) in your browser, right here at EmuParadise! No need for any software, no installations required, all you need is a fast enough PC and a browser with Flash support. This is great if you're on a PC with restrictions on software installations or want to secretly play at work. Enjoy this 3 days prestore! Kimmunicator, grappling hooks and lasers.